Also, despite the title, spanking is not my thing. It's totally fine if you like that stuff, just please don't ask me to start drawing spanking pics. Title is based off what he does in game. Bowser Jr is not mine but I think everyone should know that. He belongs to Nintendo and all that stuff. Slapping one's own rump seems to a common taunt among Japanese youngsters, judging by the number of times I've seen it in Japanese media. 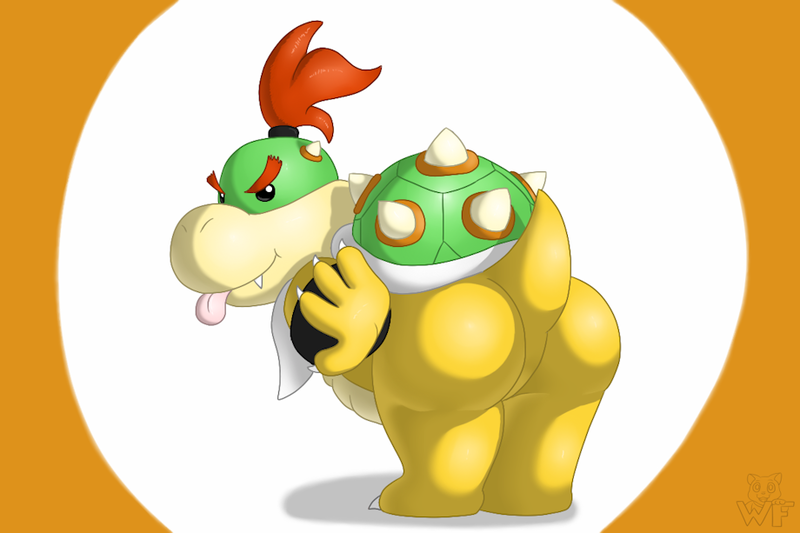 It seems to suit Bowser Jr well, don't you think? Haha, it really stands out in game! Even seeing his kinda taint area between his legs and under his tail feels graphic but I like it. B3 Good job! Actually I've clicked on your art and gallery a few times here! :3 And then this one caught me on the main page. After seeing your icon I realized you're the same guy that's been commenting lately on FA. If I keep lookin' at your gallery, I think I may as well start following it. :3 Looks like we have a lot of the same tastes too.